I enjoy drama recaps because sometimes there's just not enough time to watch everything and it's much easier to read, or rather, it's interesting to see a different take on the same story. I have always wanted to write one but there's a proliferation of drama recaps lately so I ditched my last attempt. 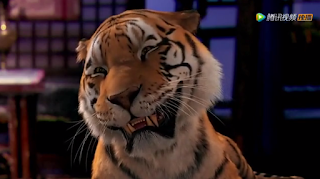 But if I'm already taking screenshots, I might as well make the most out of it. Hua Xu Yin begins with a voiceover by Ye Zhen (Lin Yuan) saying that many years ago, she used to be a princess who fell in love with the enemy. She betrayed her country causing its demise and leaped to her death. Yet what hurt the most is that her beloved deceived her. Is it because she was destined to be the dreamweaver? Judging from the introduction, I can tell we are in for a world of pain. We get a glimpse of the internal strife within the palace walls of the Country of Chen as the Empress fails at her ploy to poison the King. She is imprisoned and we see the impending rivalry between her son, the 2nd prince and the eldest prince Mu Yan (Kevin Cheng). 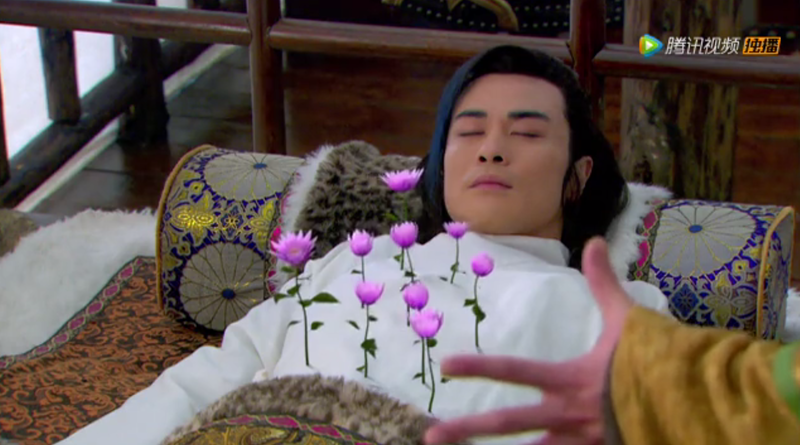 The King secretly assigns Mu Yan a mission to bring back the dreamweaver in hopes that he will succeed in the fight for the throne. The drama rewinds to the beginning when Ye Zhen was still a bubbly princess from Wei trying to escape the palace to attend a festival. 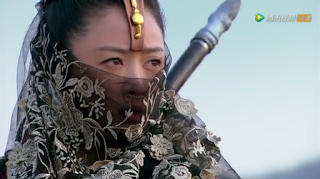 Her repeated attempts are foiled by Song Ning (Jiang Xin), a female warrior who is like a sister to her and she only succeeds after drugging the soldiers left to guard her. Mu Yan and Ye Zhen cross paths when Mu Yan and his trusty tiger, which we see for only about an episode, were being chased by the 2nd prince's assassins. To protect Ye Zhen, Mu Yan decides to leave her behind so that she doesn't get caught up in the turmoil. Along the way, Ye Zhen meets prankster Tian Zi, who unbeknownst to her is by birthright, the figurehead ruler of the nine kingdoms. Meanwhile, Song Ning gets into an altercation with the city officials in her search for Ye Zhen. 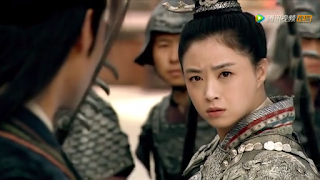 This is where she meets Shen An (Yuan Hong), a general of Chen who is intrigued by her fighting prowess. I'm most excited for this pairing especially since I have seen both actors in other dramas and was looking forward to seeing them again. Ye Zhen finally makes her way to Yong An City where it is bustling with life. The heads of state including her father, gather around for the once in 5 years ritual and Ye Zhen suddenly feels an unmistakable force drawing her in. 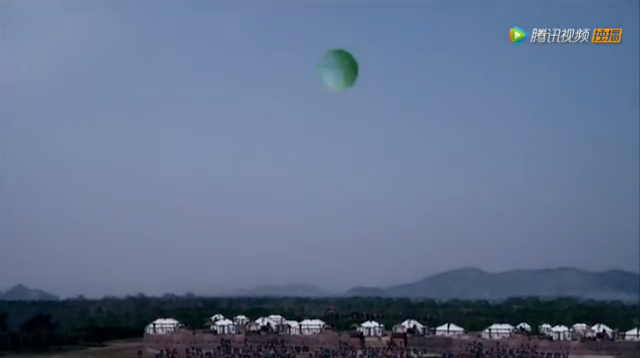 Her arrival disrupts the ritual and the fact that she is the dreamweaver is exposed. Princess Yun hypnotizes Ye Zhen in order to propel the Hua Xu Yin but upon learning that the process will lead to her death, Mu Yan interrupts and literally flies to save her. Now that all the countries know about Ye Zhen's true identity, the King of Wei decides to marry off his only daughter Ye Zhen to Tian Zi to form an alliance that will stabilize the country. As a 21st century woman, I'm never for arranged marriages but the way Ye Zhen adamantly refused to marry even if it will save her people came across as utterly selfish. As her argument goes, "Is my happiness not as important as the country?" all whilst her closest friend Song Ning bravely rides out to defend the country. 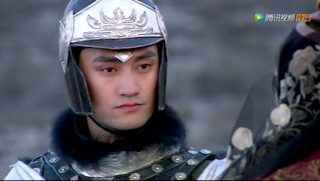 Chen launches an attack on Wei but due to inner conflicts with the 2nd prince and his lackeys, Mu Yan must fight with only 5000 men while Shen An stands at the helm of the main army to act as a distraction until reinforcements arrive. 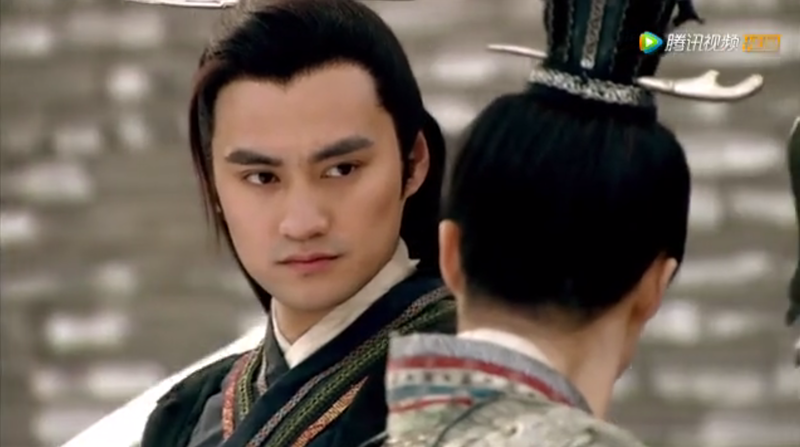 Shen An once again meets Song Ning but this time as enemies. Despite being on opposite sides, the chemistry between the two is undeniable. Unwilling to spill blood, Shen An wagers the outcome of the battle via a duel, where he was defeated twice. 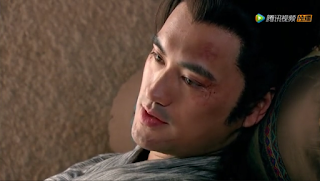 Realizing that Song Ning is indeed formidable, Shen An gives his all during the 3rd and final duel and he wins. He spares Song Ning's life but his army is obliterated by a surprise attack from the Wei soldiers as they hurled wild fire (ahem Game of Thrones reference) at the hapless Chen soldiers. Having developed an affinity for Shen An, the man who spared her life and the most courageous and upstanding person that she has ever met, Song Ning does everything in her power to save the gravely injured Shen An, dragging him through snow and helping him heal, all while pretending to be mute because she didn't want the blinded Shen An to realize that the person who saved him was none other than herself. I daresay things will go terribly wrong when Song Ning leaves Shen An under the care of a real mute person named Qi Qi without telling him the truth. I've sort of skipped through Mu Yan and Ye Zhen's story but to backtrack a little bit, Ye Zhen, the eternal damsel in distress escapes the palace to avoid being married off and instead gets captured by the Chen soldiers that were rounding up civilians for execution. 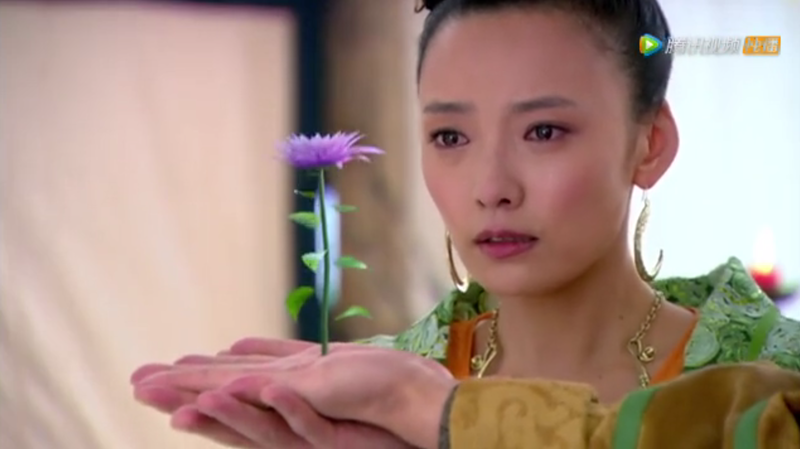 Mu Yan rescues her once again but she stabs him on impulse after discovering that Mu Yan is a Prince of Chen. It's a rash and idiotic move and she immediately regrets her actions. Regardless, Ye Zhen has made up her mind to leave Mu Yan for good and to return home. 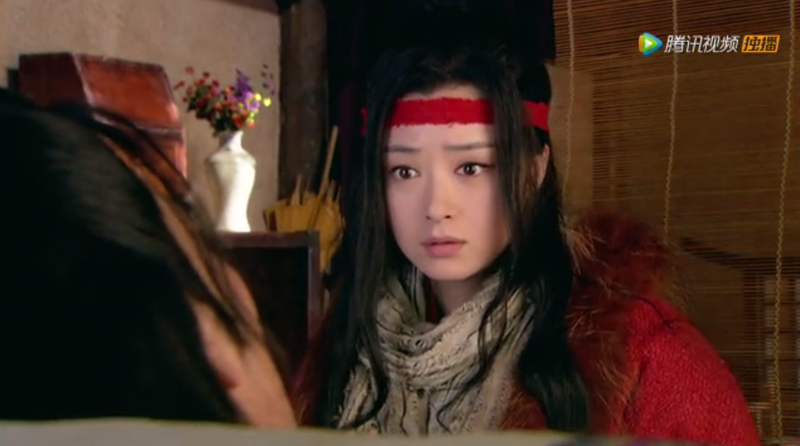 But of course she changes her mind again after Mu Yan is injured from saving her for the nth time. Fortunately, Tian Zi, her other knight in shining armor arrives in the nick of time. Tian Zi uses his magic beans to revive Mu Yan at the expense of his own health while Ye Zhen remains oblivious to everything. I really like Tian Zi. Blame it on the second lead syndrome but he is probably one of the best people in the entire series, yet we all know he will never get the girl. 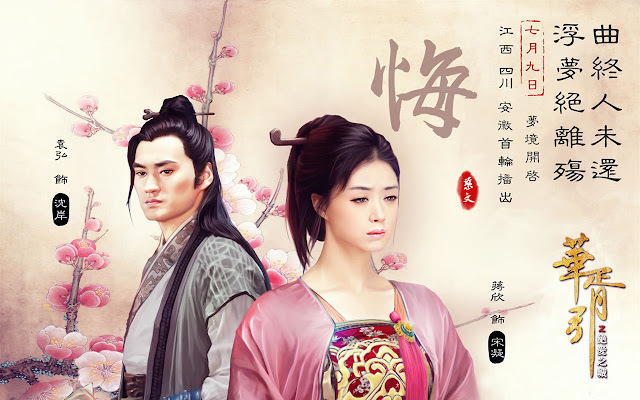 It was during this time that Ye Zhen and Mu Yan hear about the good news that the King of Chen, Mu Yan's father, has decided to call for a truce and instead propose a marriage to Ye Zhen thereby granting the couple the happily ever after that they've always wanted. Unfortunately, all is not what it seems. Holy cow, drama recaps are really difficult to write and I don't have the knack for this. I have the utmost respect for all the recappers out there. I knew it was hard but not this hard. Rating: Pretty Darn Good with a caveat. I will decide after I finish the drama. 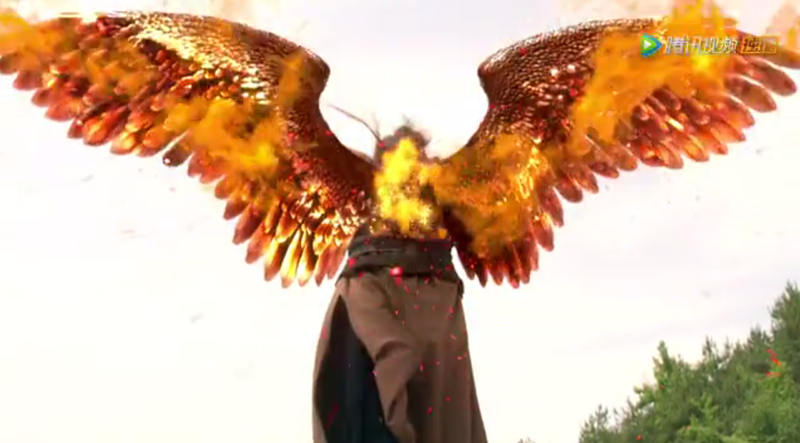 The CGI is a crap chute, the costumes horrid. If you've seen the god-forbidden gypsy skirt(s), you'll know what I'm talking about. The plot is outrageous and then some magic beans and a sporadic growth spurt of wings to add to the outlandish. Thus far, I'm most annoyed with the main lead Ye Zhen though she seems to mature a lot more as the story progresses. 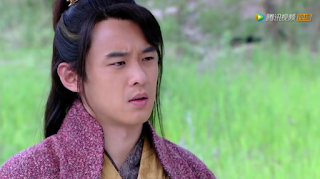 Furthermore, Jiang Xin and Yuan Hong really make the drama and I'm dreading the fallout. Despite all the negatives, I actually found the TV series inexplicably addicting. Even though I can see the angst coming from a mile away, I wanted to see the tragedy unfold. Hence, the pretty darn good rating because it's engaging enough yet objectively speaking it's really just another drama. I think another reason why this drama is predictable is one, the title spells it out for you that bad things are bound to happen, second, I see hints of reused plots from other dramas like Ja Myung Go (part of my top 10 historical kdramas) which is also about a princess who brought her country to ruin and there's also the Return Of the Condor heroes subplot where the blind woman mistook her loved one for another. I'm just not sure who copied who or maybe I have just seen one too many dramas. 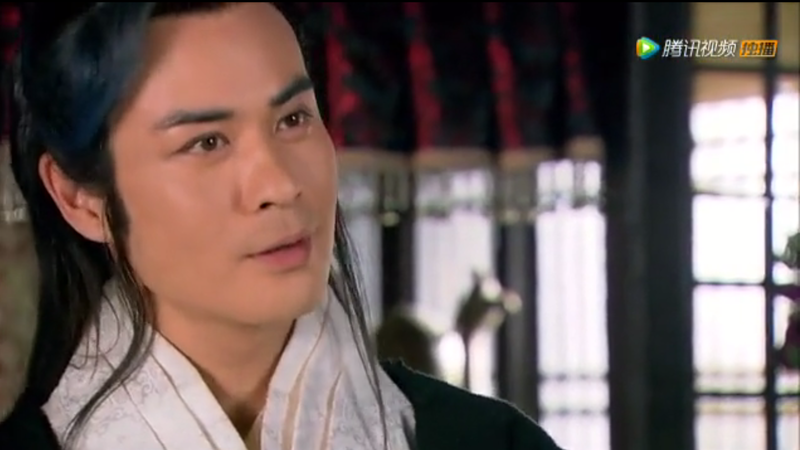 On a side note, no offense to actor Kevin Cheng but he's a 46 year old playing the role of a young prince! See Hua Xu Yin Episode Recap Part 2. I am the fan of Korean drama.